Art Primo Reviews by Nives - A Top 25 Reviewer! All the reviews by Nives - A Top 25 Reviewer! Just got one of these the other day. They are very similar to the Pilot Chizel Tip. They are good for both Handstyles and Stickers. 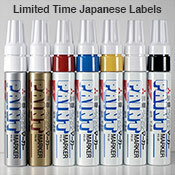 I would highly recomend these for someone who needs an inexpensive marker that is good quality. I believe that this uses the same ink as the Jumbo, chizel, and fine tip by Pilot. The BeGreen is also recartridgable(? 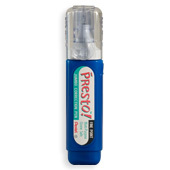 ), you can get the refill cartridges for 1.00 also on Art Primo, so all in all, this is a pretty good buy, pick one up. My homie had one and i tried it out a few times, pretty nice stuff. Really nice permenant ink, inexpensive, and once it gets going it flows real nice. I would get one. This is probably the dopest marker out in my opinion. 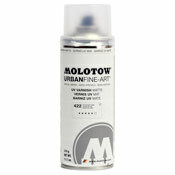 First of all, its made by molotow, which most always means it will be a quality product. Secondly, it is pocket sized which I like because I think for one their easier to travel with, and two, I get better control of the marker with the shortened body. It also has a really durable 15mm nib that is replaceable, You can either just buy the nib itself, or you can by a brand new head. 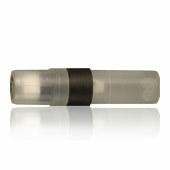 It is also a nice marker in design, It has a strong body and the flow master valve system which works really well. Plus its refillable and easy to refill. You just twist off the head and pull out the valve and pour in the ink, easy rite. Now for how it writes. It is a chizel tip marker so you can write skinny and fat. Hell, you can do both. It writes on most surfaces and you will be hard pressed to wreck the nib unless you really try. Im not saying, go write everything on brick, but if you wanted to, it wouldn't effect it much at all. You can use a variety of inks in this, I would use the either the molotow One4All, or the OTR 484 Refill ink. You can use smash but from what I have heard you will need to thin it out for it to work properly. So I would highly recommend this marker and the full size one if your more into regualr size markers. I like them for stickers cuz they dont streak and they have a strong chizel tip nib that is still pretty narrow. Plus their two dollars, plus they also work well for just catching handstyles, plus the ink is really nice, plus the durable body...amazing, definetely buy this product. Just got this today at the showroom and uh... this is dope! I got the blood red and it writes really nice. It is pretty much just an updated version of the Smashville Slugger. It does nt only use smash it is mixed with another ink to get a better finish than that of the slugger. I had a slugger and liked it alot but then i picked this up and it was way better. 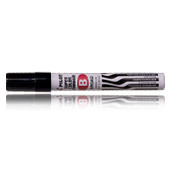 It streaks less than other markers and the ink is really good. It seems to write well on a majority of surfaces. I havent had any problems yet so I give it a two thumbs up! This is my Jon! This marker is super sick. I like the red, but the black is hella nice as well. I havent had the pleasure of tryin the rest of them but im sure there all hella bold nice colors. Buy this!